Building your WordPress website with the Divi theme gives you an advantage over a ton of WordPress themes and page builders out there. Part of the reason Divi is so so popular, besides its own amazing functionalities, is the vast number of third-party plugins that help extend its features and functionalities. On a personal level, I have used my fair share of paid third party Divi plugins to solve specific problems or provide certain functionalities. I also recommend a number of these on our resource pages. However, there is a growing number of free Divi plugins in the WordPress repository today. Many of these add some interesting features to your theme, and many are so good that they could actually be turned premium and sold. What follows is a list of some of the most exciting free Divi plugins on the WordPress repository today. While I cannot possibly review them all at the moment, this article explores over 25 of these free Divi plugins and the features that make them so great. These are not listed in any particular order. NOTE: Please let me know if I am missing any and I will keep the post updated! The first free Divi plugin on our list is designed to enhance the Divi theme and page builder by introducing some otherwise unavailable features. It introduces new modules to your site that work very well with your existing theme structure and features. As the name implies, the Battle Suit for Divi is a multi-faceted plugin designed to provide extensive additional features to your Divi theme and page builder. It contains 12 Divi modules, 5 Divi extensions, and 1 WordPress widget. It can also be used in conjunction with post-related modules like Toolset to customize your archives or search pages. Another Post: display the content of another post. RW Divi Unite Gallery is an advanced gallery plugin which allows you create any of your preferred gallery types. It creates responsive, mobile friendly galleries with attractive skins, and can be used to organize galleries in tiles, tiles grid, carousel, slider, grid or compact; all using Divi’s standard drag and drop feature. This is the only Divi gallery plugin that I know of. One of my favorite free Divi plugins is Divi Supreme. There are a ton of options here to enhance the features, functionality and entire user experience of the Divi theme using this plugin. It adds 14 custom modules that help you build better websites, in both aesthetics and functionality. This is only part of the list of features. Supreme Divi Gradient Text – gradient text without coding. This plugin adds a new module that allows site users streamline their search by helping them limit search results to a custom post type. This provides, and allows the selection of, multiple options such as posts, pages, etc. ; allowing users identify where they would love their results to come from. I have personally found this plugin to be the best free solution of its kind. This tool lets you embed any Divi library item into another module content or into a PHP template, using a simple Divi shortcode. It allows you create a shortcode from any section, module or layout within the Divi library, and use the shortcode inside other Divi layouts. ACME Divi Modules adds multiple features and functions to your Divi WordPress website. It lets you alter post, blog, and portfolio layout and features – from changing image size and ratio to changing project slugs to custom slugs – through the use of new custom modules. Slide-In Module – create an easy slide-in layer inside your website. The i-Divi Post Settings plugin allows you set customized settings across the board for specific features of your Divi WordPress website. It allows you customize the default values for four broad categories – under the Divi Page Settings, Divi Project Settings, Divi Post Settings, and Divi Product Settings, so you don’t have to adjust these values for every post, project or page you create. The Expand Divi is a free plugin that adds a number of important widgets and features that can be enabled or disabled from a single screen. I actually use this right here on my blog. Expand your website-social media connection with the Divi Socials plugin. It allows you add any of your desired social icons without writing any code, including LinkedIn, Tumblr, Skype, Instagram, Facebook, Flickr, etc. Customize these icons to give a cool look that blends with your overall website theme. Brozzme Fullwidth and Automatic Layout in Divi is designed to provide you with a one-click tool box that simplifies your content creation work flow. It lets you set your predefined layout type and apply it across the board to every post, or to specific posts. This plugin allows you to use your favorite Divi layouts, sections, rows or modules as widgets. This can be very helpful when you want to add Divi styled modules to the sidebar such as an optin module, images, text, etc. I have used this before and it comes in handy on certain projects. This plugin is built to improve your menu customization options, and I know a lot of you will love these features. It adds four menu options to the original Divi desktop menu via the WordPress customizer. 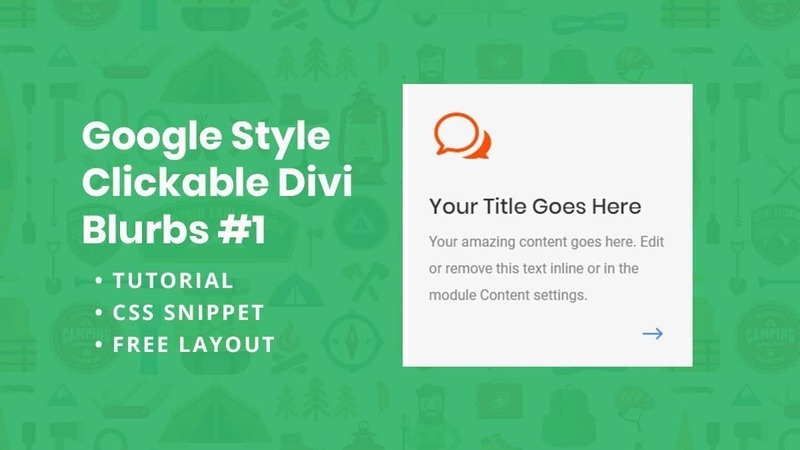 This plugin adds a new module to the Divi builder, it allows to easily insert titles without going through the text module. Titles and headers are an integral part of your post design and readability. This plugin helps you insert and customize titles as you wish. It allows you set title level, color, size, and more, making for a more attractive text. Boost your customization options for your Divi theme with this booster pack plugin. The plugin adds two important widgets to the Divi Page Builder – the Flip Box and Icon List widget. This simple Divi plugin provides excerpts for the Blog Post Feed when the feed is altered from displaying as a Full Text and set to Summary. The typical WordPress feed display filters out shortcodes when set to Summary, which empties the feed content. This plugin ensures that is not the case. If you so love the design on the official Elegant Themes website and desire your website to match that same design and styling, this plugin is for you. The plugin introduces the same code used on elegantthemes.com into your website, without requiring any extensive customization or coding. This plugin adds additional design options to the Divi Audio module, both under the ‘Content’ tab (‘Audio Timeline Margin’ setting under ‘Audio’ toggle and ‘Image Width’ under ‘Image’ toggle) and in the ‘Design’ one (here you will find at the top a new ‘Audio’ toggle to customize timeline colors and other elements). This plugin adds the same styling for Gravity Forms as Divi Theme has for its own forms. This is a very lightweight plugin with minified css to reduce the loading time as low as possible. It also adds responsive styles to Gravity Forms. So you can use complex forms, halves or thirds fields, your form will look great on mobile screens also. This plugin author has about 5 Divi plugins, so be sure to check those out in the repository. This free Divi plugin adds a new module that allows the user to create a simple composite Before/After image from two images at a set size. It is compatible with the Visual Builder. This plugin uses cropped image sizes within the Divi Builder module (image size selection), supports lazy loading, and is mobile responsive. 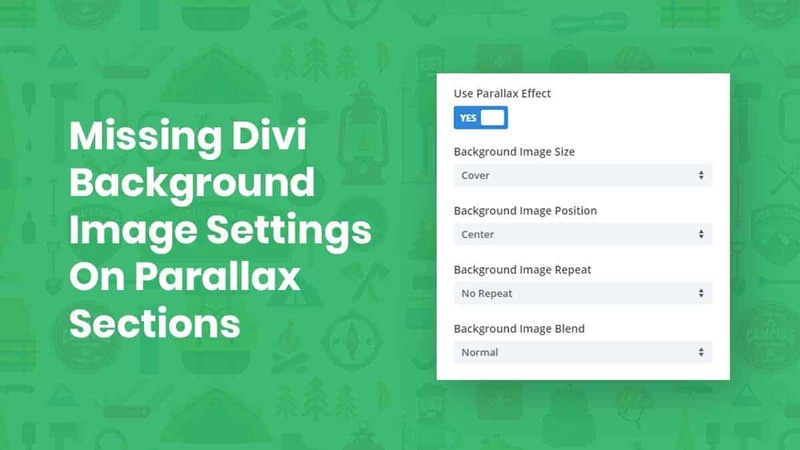 This plugin adds new options and effects to Divi sections within the builder. All the options are highly customizable and it can be applied easily. Create free Divi popups by turning a section into a popup. Design the section how you want with the Divi builder, then assign an ID to the section and button and you have a popup on click. This plugin improves the accessibility of the Divi theme in accordance with WCAG 2.0 guidelines. While there are many great plugins dealing with improving WordPress theme accessibility, this was developed for issues specifically found within Divi. There is a long list of great features, so be sure to check this out. If you ever wanted to schedule modules or sections to show in Divi under specific circumstances, such as when a user is logged in or not, here is your solution! This free Divi plugin allows sections and modules to be displayed/hidden based on the outcome of a PHP boolean expression. This plugin will work in both the Divi Theme and the Divi Builder plugin. 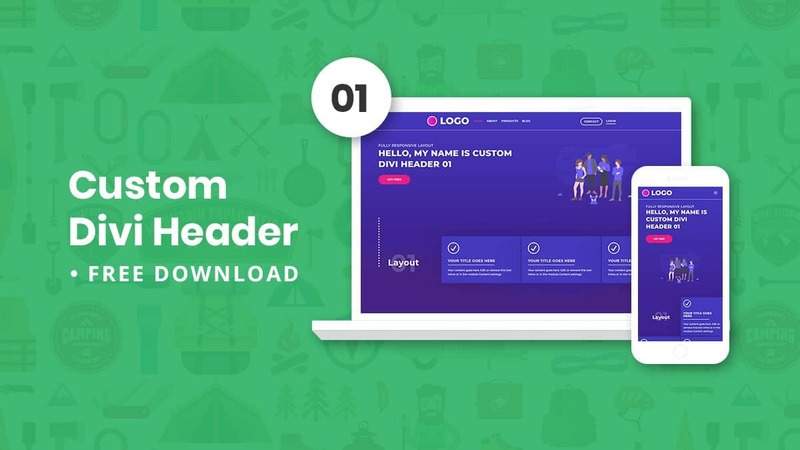 This great free Divi plugin adds a Visual Builder compatible Divi module called “Image at Size” that allows the user to select images cropped to a set size. This is great for SEO! It allows you do display cropped images instead of originals, chick cuts down the page load time. It supports srcset and sizes image attributes for high-resolution retina displays. Are you using any of these? Did I miss any good ones? Please share in the comments below. If you find value in this type of post, please subscribe because we have tons of stuff in progress to be posted soon! Sure thing, Betty. Yes, some of these are certainly worth trying! Yes, I meant to add your plugins. I have updated the post now. Very good work with your plugins! You’re welcome, Victor. Glad you like it! Thank you! Yes, I think some of these are worth paying for too.